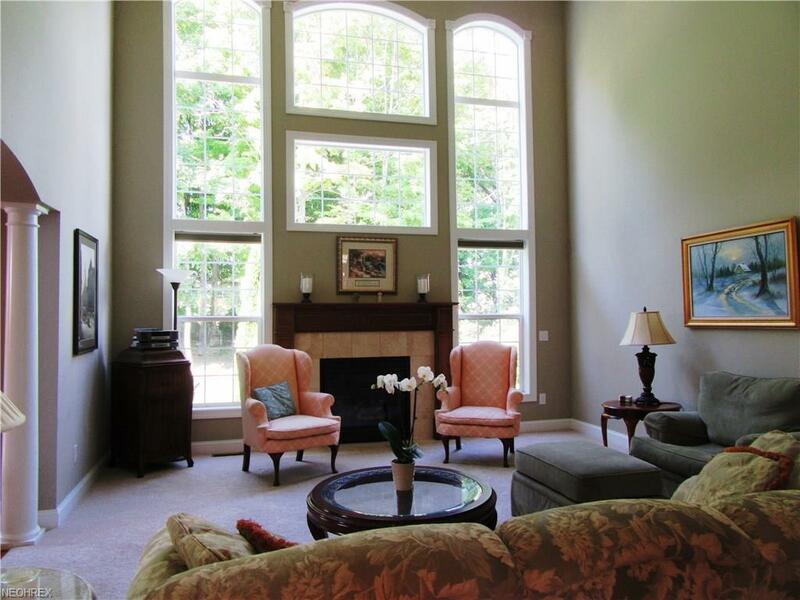 Picturesque 2 story great room centered with a gas fireplace gives this home a stunning focal point! Spacious eat-in kitchen with granite countertops and wood floors with sliding glass door leading to an inviting stamped concrete patio for outdoor entertaining. 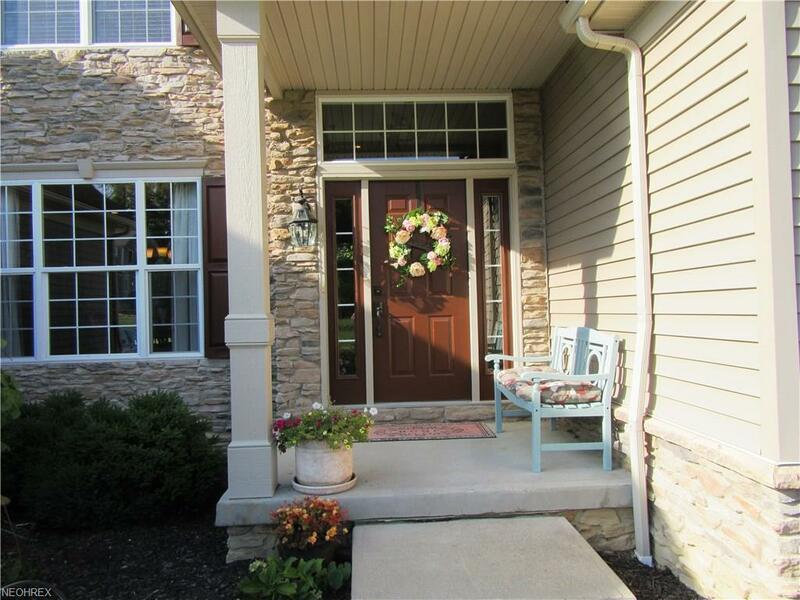 Or serve your guests in a lovely front dining room opened to a soaring foyer, snuggle up with a book or watch a movie in the den with built-ins before retiring to a first floor master suite with granite dual sinks, shower and a soaking tub. Second story offers 3 additional bedrooms, all nice sizes, with a shared bath. 1st floor laundry, half bath, full basement ready to finish. 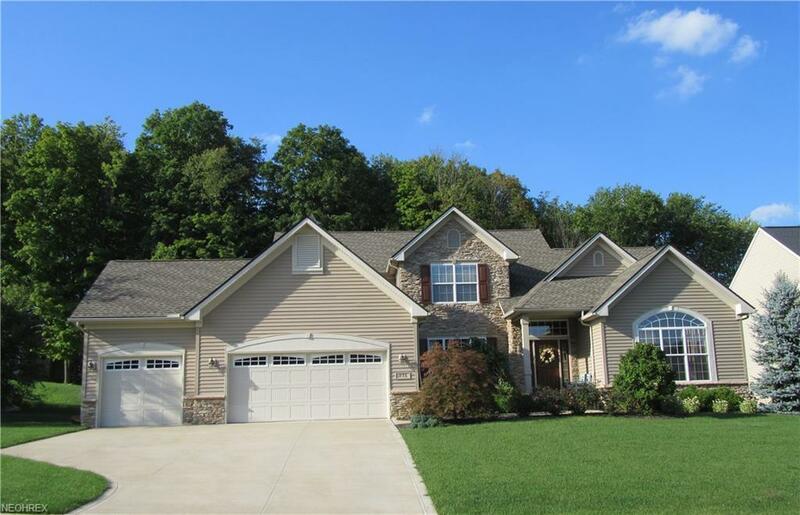 Bright, dry-walled 3 car garage, cement driveway, beautifully landscaped. 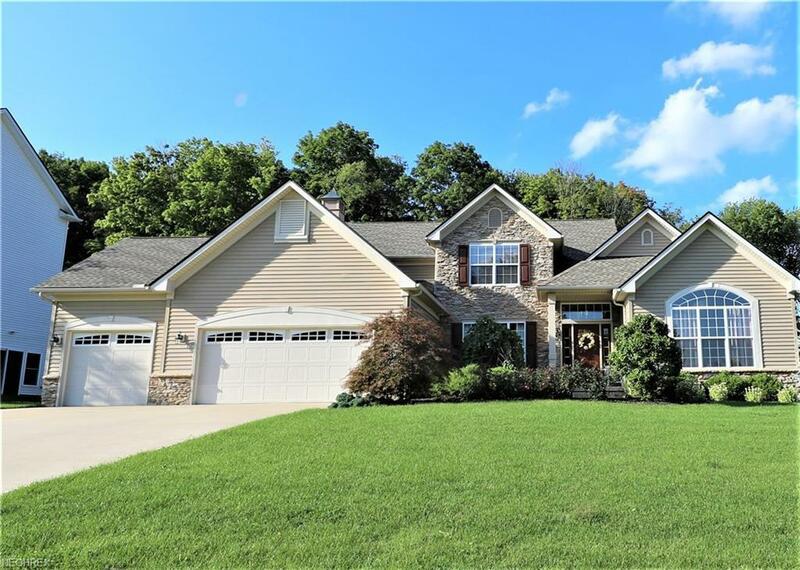 This attractive home can be yours before the holidays! 5 minutes from Hudson and shopping.